Shop for genuine Walbro parts including carburetors, gaskets, repair kits and more. Aftermarket Walbro parts also available. Not sure what you're looking for? 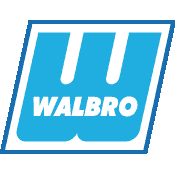 Browse all genuine Walbro parts here.